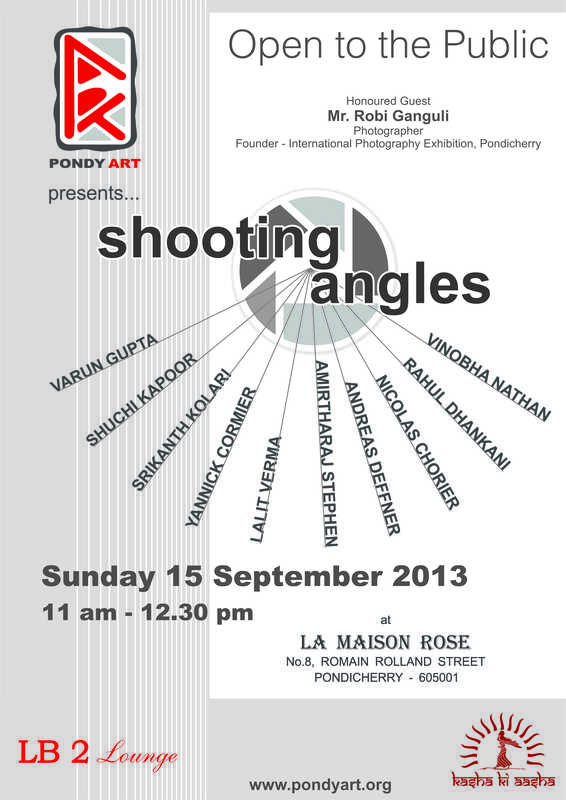 On the 15th of September something very special is happening with PONDY ART in Pondicherry. 10 Incredible photographers are getting together to meet YOU! Come to Maison Rose between 11 am and 12:30 pm and ask the professionals what they do, how they do it and what their personal goals are with photography. These guys are the real thing. They are published in international magazines and newspapers. They have won awards the world over. They have participated in many international level exhibitions. Whether you are interested in commercial, fashion, architectural, fine art, wild life, aerial or documentary photography this is your chance to understand what it takes to make it to the top.